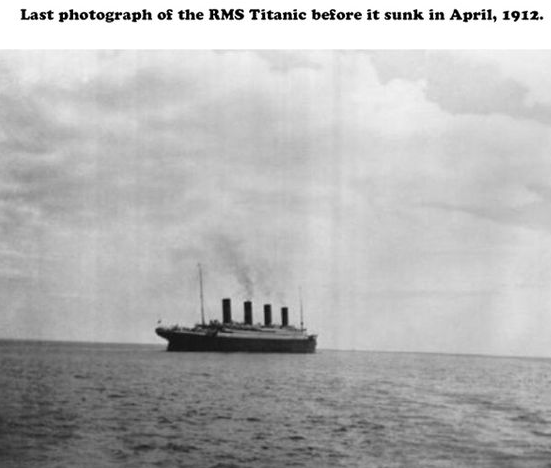 It was April 23, 1912, at daybreak, out on the North Atlantic. The seascape looked every bit like a well-adorned graveyard, with an overcast sky, rolling fog and, as far as one could see, pieces of wreckage that bobbed in the swells. Doors, pillows, chairs, tables, and scattered remains were everywhere. White fragments dotted the debris — clustering and moving along the waves like flocks of seagulls. Actually, these white specks were dead passengers and crew members, in their white life belts, left over from the Titanic disaster six days ago. A ?cutter? with five men aboard entered the sanctuary on its first run for that day. The oars groaned in the oarlocks, then became silent as the men approached one of the bodies. The ocean loudly washed against the sides of the little boat and, with an occasional thump, kicked up surf over the gunwale. As such, the men could not hear the waves as they crested over the body?s head . . .?tish-sh . . . tish-sh . . . tish-sh.? The life belt held the victim?s shoulders out of the water. Sometimes a larger wave made her entire body disappear. Her head was drawn back, and she faced upward, in the form of a figurine broken off an old ship?s bow. The woman?s hair and arms frolicked around, affording the men a glimpse at the water?s angelic playfulness. No doubt, the thirty-year old Swedish emigrant was dead — Alma Pålsson had been cut off from her four children, who went down with the Titanic, and from her husband in Chicago. Hundreds like her buoyed between the clefts of waves. As the crewman pulled her sea-drenched body into the boat, the steamer Mackay-Bennett stood nearby. An overturned lifeboat in the sea between the cutter and the steamer seemed painted into this scene. Little more than a raft, with canvas sides, the broken boat resisted efforts to recover it. But, not the men?s axes. It eventually faded from sight. Mrs. Pålsson was brought back to Mackay-Bennett for identification. In her pockets were a letter from husband, Nils, in Chicago, 65 Swedish kronor, and her steamship ticket. The items were carefully tagged. Then she was put on ice in the ship?s hold. After another day or two of this gruesome business,Mackay­Bennett returned to Halifax, Nova Scotia. Mrs. Pålsson was one of several hundred bodies recovered by various ships, in April and May 1912, after the Titanic disaster. 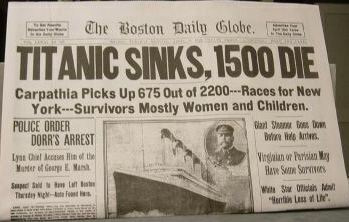 Roughly 1,526 people died when the ship foundered at 2:20 a.m., on April 15, 1912. 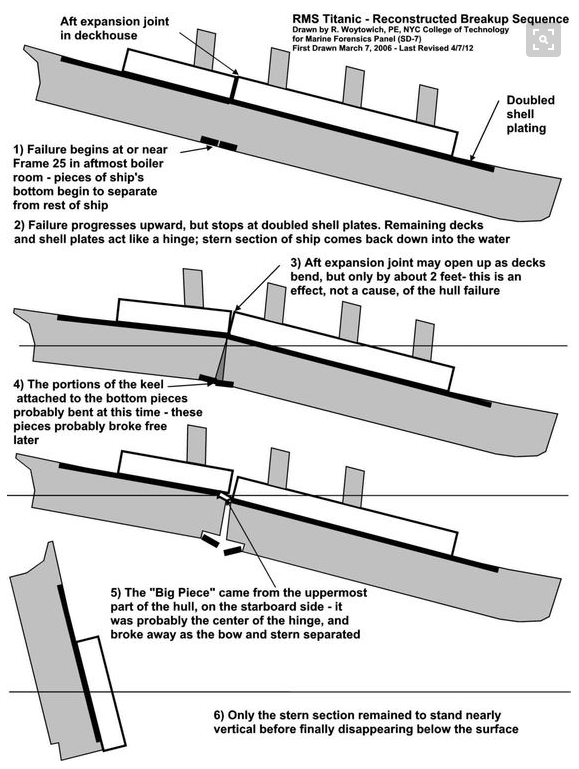 Most people went down with the ship. But several hundred were either buried at sea or brought back, claimed by relatives, or buried in Halifax. Why are the bodies important? 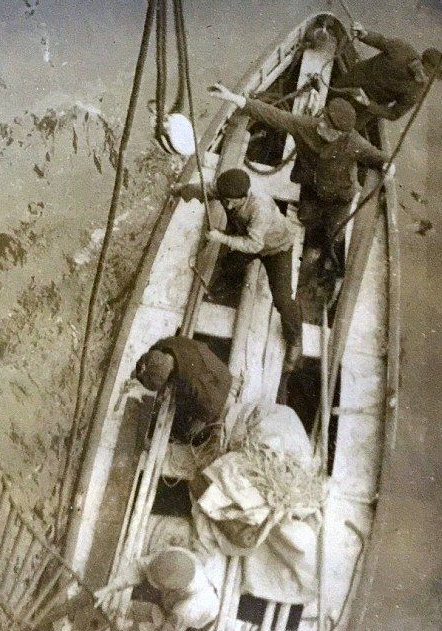 The bodies found floating in the sea were mostly third class passengers, emigrants and crewman. They included children, mothers and fathers. 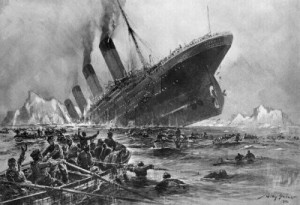 As the rank and file, they were, by far, the most vulnerable of Titanic’s victims. The cruelty of the disaster is most evident with the bodies. Indeed, some of them appeared battered, bruised, and cut up from the event of the sinking. They were frozen in the treacherously cold north Atlantic, at night, and were bleached by the sunlight, during the day. As if an amusement for a cruel sea, they bobbed, had their faces repeatedly dunked in the water, and became wrinkled and discolored as they decomposed. Previous: Donald Trump backed Frank Gehry’s 8150 Sunset project will demolish Kurt Meyer-designed historic mid-Century Lytton Savings Building on the Sunset Strip. Next: Crystal Cruises throws in the towel on saving the SS United States but activists continue the fight..